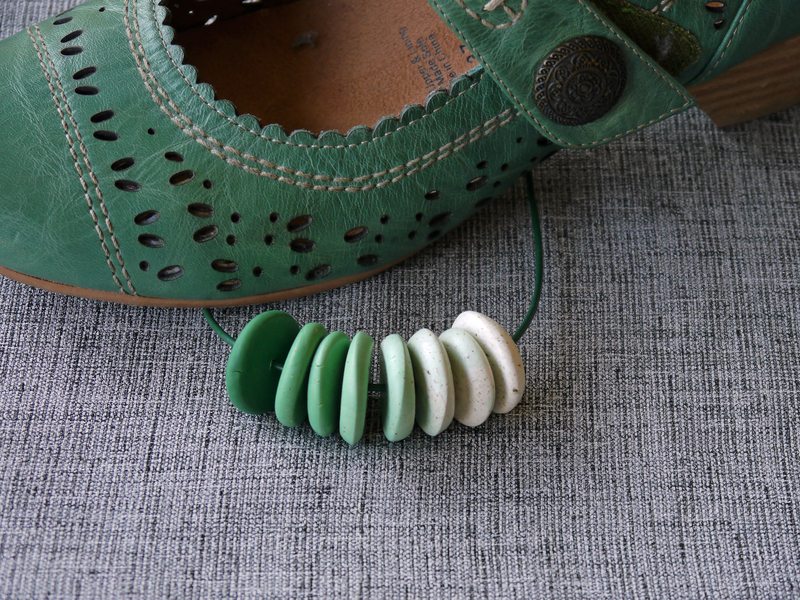 My daughter has some favorite green shoes, which she wants to wear with greys and neutrals – she clearly needed a necklace to tie in the shoes. I added some ground cumin and coarsely ground black pepper to the white polymer clay, to add a bit of interest. I mixed a color to match the shoes (kato clay: 2 yellow, 1 turquoise and a pinch of red). I created a skinner blend then made beads from different parts of the blend. For the shape, I rolled lentil beads, and once I had the lentil shape, simply squashed them with the top plate.